GiveBig Campaign May 6 – Making a Difference! Many of you know what Freedom Project achieves. If you have been a friend of ours, you have read many stories how Freedom Project classes and workshops have changed people’s lives through healing, reconciliation with families, and safer communities. Freedom Project’s lifeblood is its volunteers. They give their time and talent when they go into Washington’s prisons to share with men and women their passion and knowledge of Nonviolent Communication (NVC) and Mindfulness meditation. They also absorb the cost of travel to the prisons. 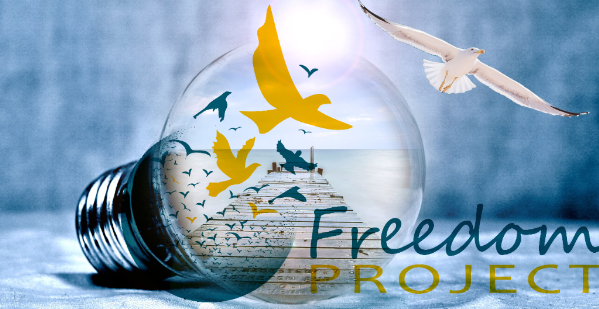 Though Freedom Project’s operating costs are kept low through conscientious attention to efficiency and frugality, we depend on your donations to sustain our programs. We ask for your financial support during this major Spring appeal, built around the Seattle Foundation’s one-day online GiveBig campaign. On May 6 between midnight and midnight, you can go to www.SeattleFoundation.org to post your donation. This year, all donations to Freedom Project will be matched 2:1, in addition to the GiveBig stretch. Put another way, everything that you donate through GiveBig will more than triple. Please mark May 6 on your calendar. Think about how much you can donate, and know that 3 times that amount will come to Freedom Project. We appreciate your generosity!